I purchased this shirt at a charity shop ages ago and it has been languishing in my clothes pile ever since. 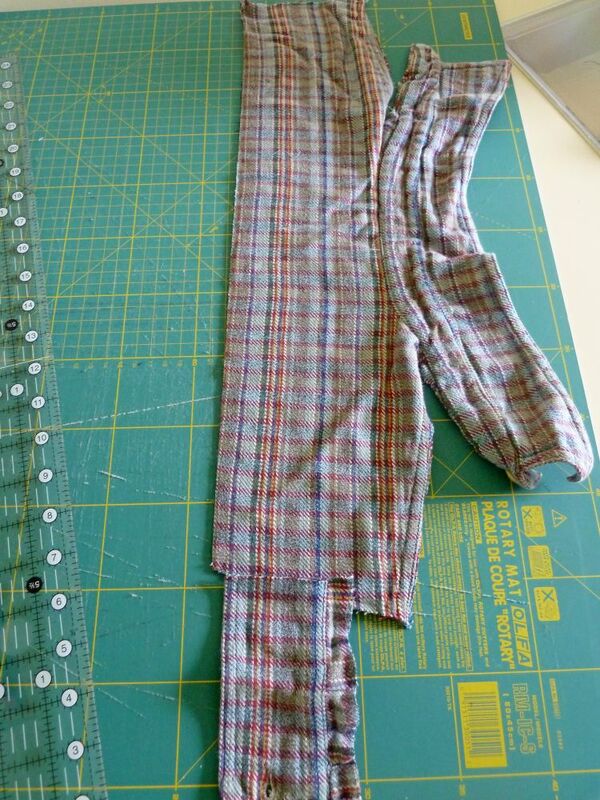 It's a soft woven plaid fabric and it seemed perfect to make into a pair of sleeping shorts. 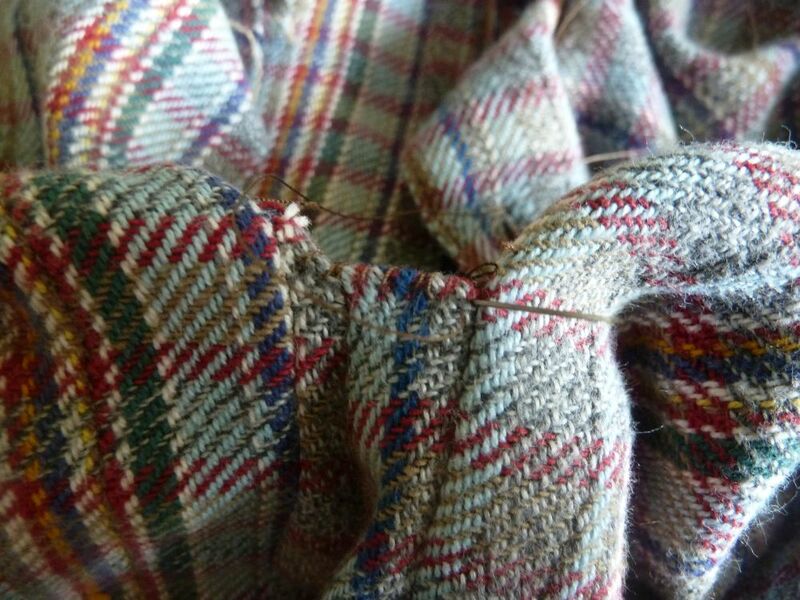 This took a bit of fabric juggling. 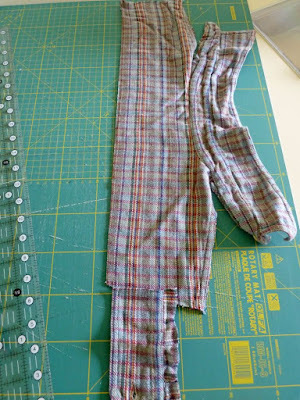 I could obviously use the front and back of the shirt for the shorts front and back, but I needed a bit more fabric for the inside leg and, sadly, the hip! Here is one of the pieces to show you. 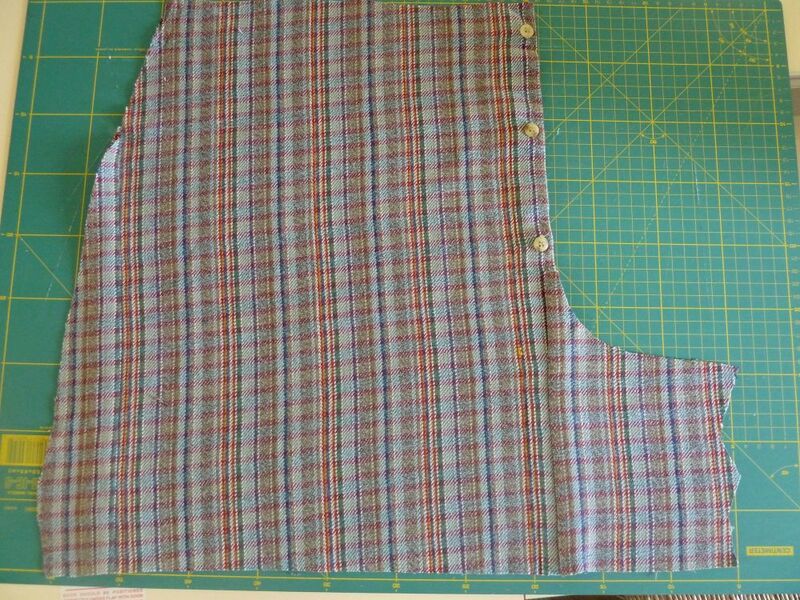 You may be able to see on the left of the picture I have had to add a bit more fabric to the outside hip area - I took this from the original shirt sleeve. 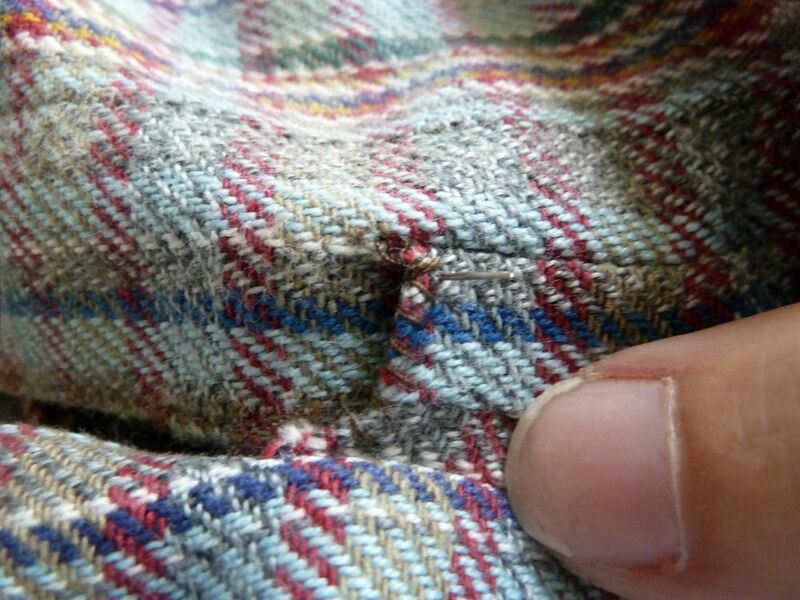 The extra fabric for the inside leg was harvested from the top of the shirt front. 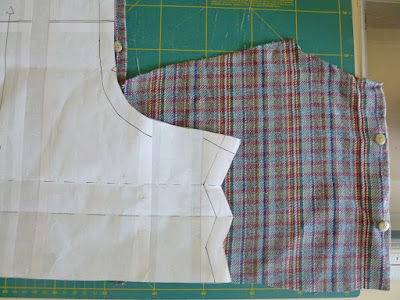 As there was a button placket already it seemed like a good idea to have a button down front. 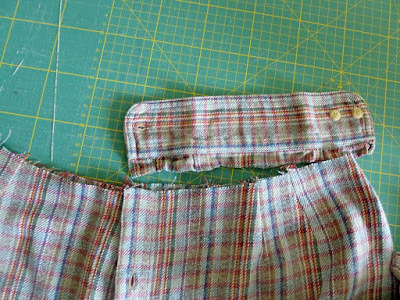 This did involve a bit of fabric manipulation though; as if I had sewn the front inside leg and just stopped the button placket would not be lying flat. Luckily the extra fabric I had used at the inside leg came over the button placket. I sewed up to this extra fabric and hand turned the raw edge. 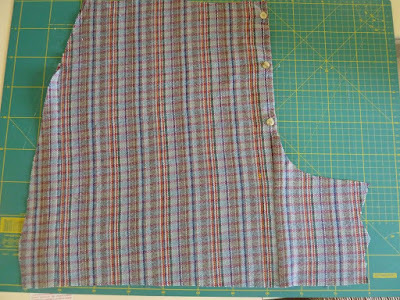 Hopefully you can see in the picture above that the button placket is lying flat below the extra fabric. 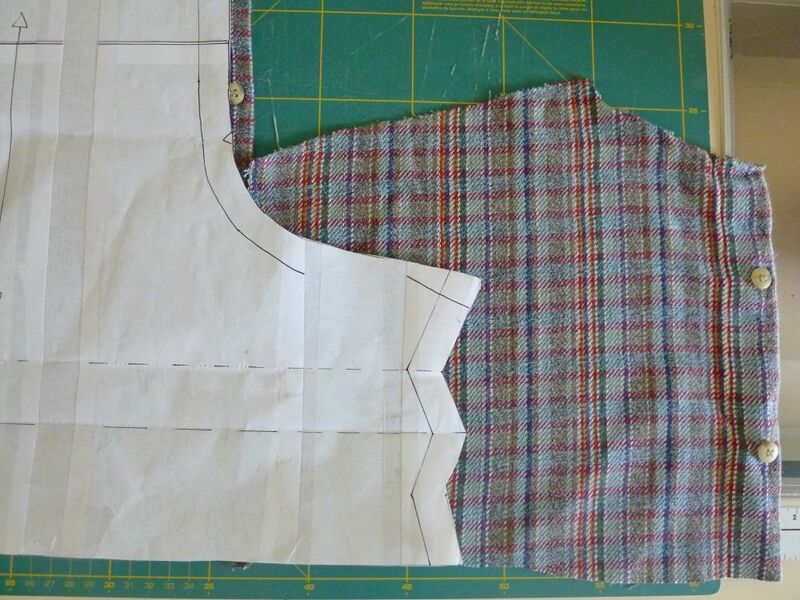 ..and cut the back yoke of the shirt into two strips to attach to the cuff. 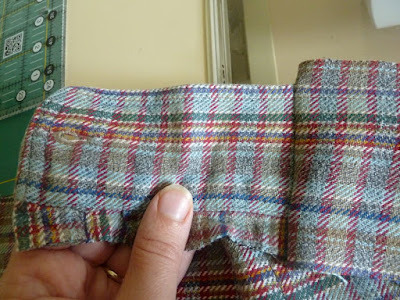 You can see here the end of the cuff continuing on from the strip of fabric cut from the yoke. 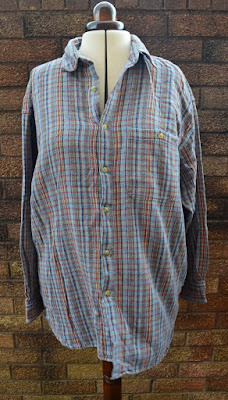 Here is another photo from the front. It was quite a windy old day which made photography a bit tricky. 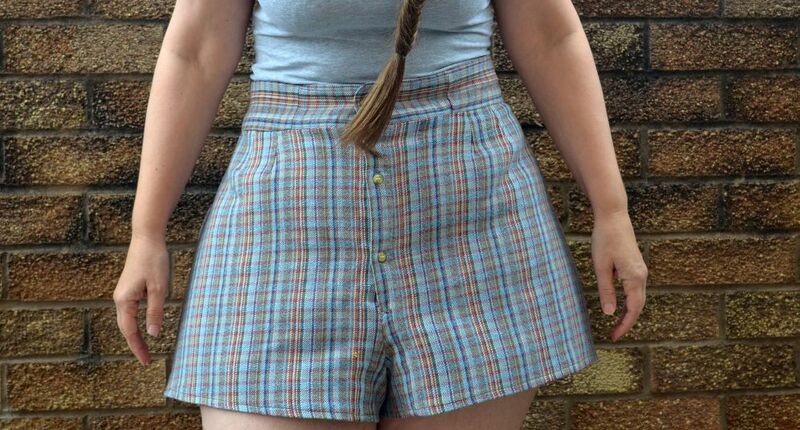 They are really comfy to wear and what I loved about sewing these was that the more I concentrated on the fabric, the more colours I could see woven into the cloth. 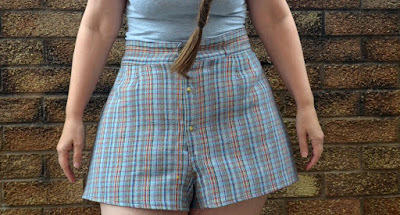 They have been in constant rotation in my wardrobe since they were made! 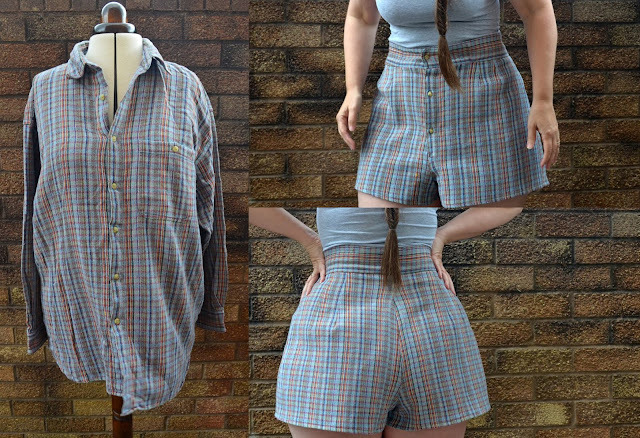 I love all the things you can make from men's shirts. 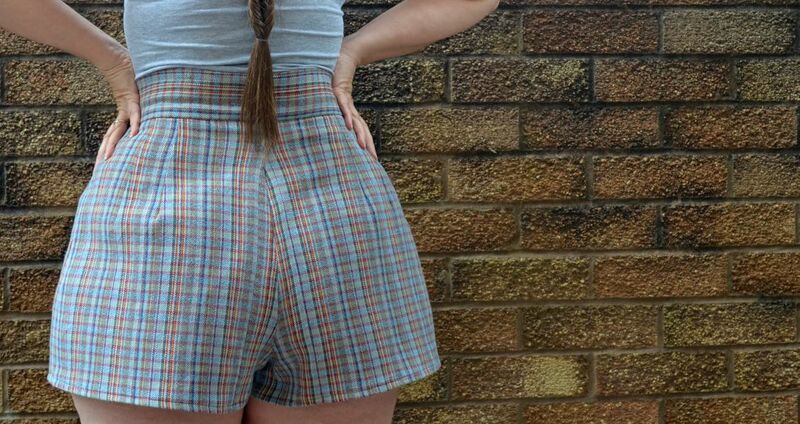 I have never tried a pair of shorts though. Thanks for the inspiration. perfectly executed! I love it and it suits you so well!